50029 in World Cup livery A further publicity stunt saw 50029 done up with an England flag and renamed Roonown in June 2006 as a tribute to England's football World Cup hero Wayne Rooney. 50029 reverted to conventional guise after the tournament. Photo: Tim Snowball. 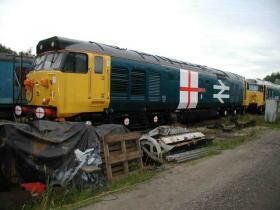 A further publicity stunt saw 50029 done up with an England flag and renamed Roonown in June 2006 as a tribute to England's football World Cup hero Wayne Rooney. 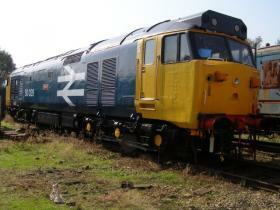 50029 reverted to conventional guise after the tournament. Photo: Tim Snowball.